Modern meets coastal with this statement-making platform bed. The low profile design highlights clean lines, complemented by the geometric headboard design. Mindi woods give the bed its light, washed out tone that's perfect for any beachside home. 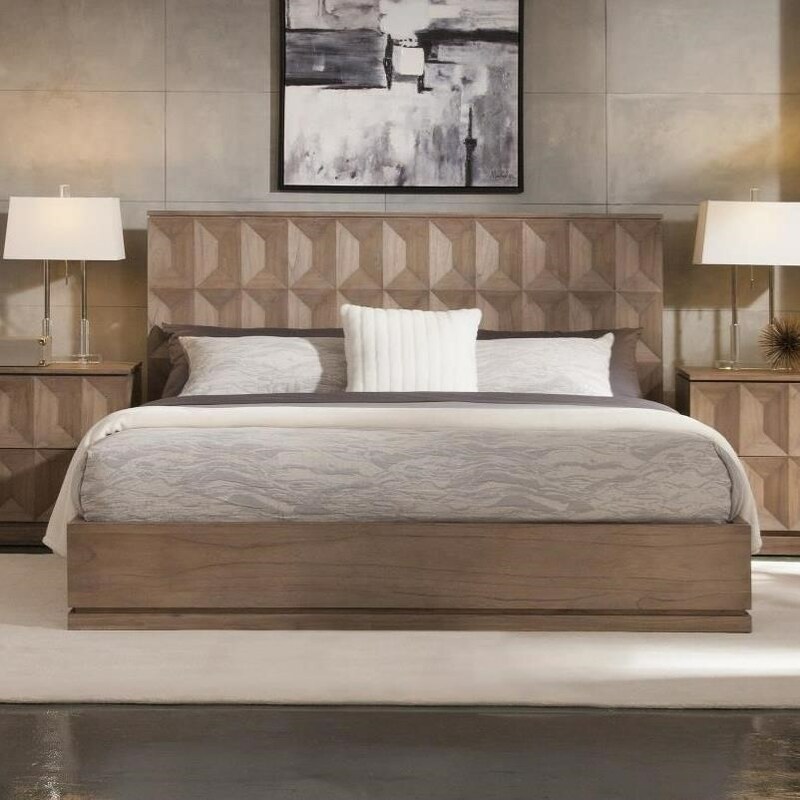 The Eastside California King Platform Bed with Geometric Headboard by Napa Furniture Designs at HomeWorld Furniture in the Hawaii, Oahu, Hilo, Kona, Maui area. Product availability may vary. Contact us for the most current availability on this product. Case Construction Solid mindi woods. The Eastside collection is a great option if you are looking for Transitional Contemporary furniture in the Hawaii, Oahu, Hilo, Kona, Maui area. Browse other items in the Eastside collection from HomeWorld Furniture in the Hawaii, Oahu, Hilo, Kona, Maui area.